I’ve read more informative commentary on the place mats at Burger King. I wasn’t trying to restate the story of Tim Challies blog review of Ann Voskamp’s book because I thought the article at her.meneutics spelled out everything so clearly. Did you click through? Out of hundreds of page views early yesterday, only a handful of people actually clicked through to read the story. I think the type of person who is going to have great issues with this book is probably the same type of person who has issues with The Shack. I can be more objective here because while I was — once the smoke cleared and I’d settled my own position — very supportive of Paul Young’s book; I saw Ann’s as more of a women’s book and I’m sure the sales figures bear that out to the point where I think only a woman can provide a really thorough review of it. But we tend to shy away from anything that’s not produced from within “our group.” (See Mark 9, above.) 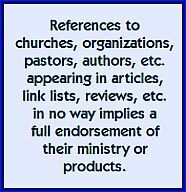 My own research has shown that in any particular community, no matter how much media and marketing is given to a particular book title; it will sell so much a better if a local pastor endorses the book from the pulpit; more so if it quotes a particular translation or appears under the imprint of a particular publisher. The church has long resisted change and innovation, and Ann Voskamp’s book, her blog, her style of public speaking is very unique; very much who she is. She either quotes or is influenced by authors like Henri Nouwen, Brennan Manning, Teresa of Avila, Brother Lawrence, Annie Dillard, and Dallas Willard. This brings to the book a deep-rooted mysticism that at times seems even to border on the view that the divine exists within and extends to all parts of nature (a teaching known as panentheism). At heart, mysticism promotes the view that God can be experienced, and perhaps even best experienced, outside of Scripture. Tim Challies cited as problematic Ann’s having been influenced by ‘mystics’ like Henri Nouwen and Dallas Willard. Again, I’m not a fan of Willard; we did one of his curriculum DVD series on Sunday nights and it just didn’t connect with me. But I have to allow some respect for the pastor who thought this would be good for our people, and the publishing company that vetted his material. I am simply not automatically predisposed to dismiss certain writers out of hand if other people I know draw great value from their perspective. And is the revelation we have of God absolutely limited to the revelation in scripture? Do we know things (that are truth) about God extra-Biblically? That’s been debated for centuries. I would argue that all things taught must line up with scripture, but beyond that I am cautiously open. So I have no built-in bias toward Ann, the book, or the writers who have influenced her; and that said, I still defend her right to have a place at the conversation table for Christian women; and I also place a certain degree of confidence in her publisher, Zondervan, who are ironically the publisher of one of Tim Challies’ books. And that’s really all it is in this case. Sometimes it is best to allow God to define the parameters of our metaphors rather than taking them to a much greater extent. Voskamp would have done well to limit herself here. If this is true, what do we do with the “not safe but good” Aslan in Narnia? That was a stretch, to say the least. Why should she have to travel to a Roman Catholic cathedral in a foreign land in order to truly experience the Lord? If travel is an issue, what are to do with summer camp ministries, where we remove children from familiar influences in order for them to see themselves and see God in a different environment? What are we to do with the testimonies of those who have truly “found” God in the middle of a brothel, or a casino, or even in the midst of a truly false cult? The Psalmist said, “If I make my bed in hell, you are there.” Is the problem that it was a Catholic cathedral? In fact, are not our greatest experiences of worship and understanding often while we’re away from our routines and comfortable surroundings? I fear that some will see that Voskamp subtly promotes a higher order of holiness, a higher order of relationship with God, and be dissatisfied that they do not have this for themselves. Is that not true on some level of each and every Christian book we read? Every church service we attend? Every sermon podcast we listen to? Yes, there is always that “Monday morning letdown;” that return to reality that happens after the spiritual high from Sunday’s service. But 167 hours later, we go back; we go on retreat weekends; we buy another Christian book, because we want to be inspired. One Thousand Gifts is probably not my kind of book. But as my friend Jack would say, “That’s just preferences;” and if you’re going to let your personal preferences get in the way, then don’t consider yourself in any way an objective book reviewer of Henri Nouwen or Brennan Manning or The Shack. or One Thousand Gifts. The principle of noblesse oblige also applies to people who have been given a huge platform, either in their books, their pastorate or their blog. You must conduct yourself and know that your words will be judged by a higher standard. The very first response, the default response to those outside “our group” must be a gracious one; especially when we propose to judge the entire tenor of someone else’s ministry. Or as the scriptures say, “Not many of you should presume to write book reviews.” It’s there. Just check your concordance. For those out of the loop, you might want to begin need to start with the excellent summary (and links) from Micha Boyette at Her.meneutics. For those who are familiar with this story, I get into much greater detail in the comments section. 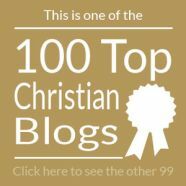 While on the one hand I rather hate to draw attention to last week’s tension between Canadian blogger and Zondervan author Tim Challies and Canadian blogger and Zondervan author Ann Voskamp, it really highlights the spectrum of opinion that we find in the world of Christian blogging. Tim could not condone the book, to the point of calling it “dangerous.” For some of the more cynical, this might constitute the Good Housekeeping Seal of Approval. But when über-blogger Challies can’t endorse you’re writing, the weaker among us would be tempted to pack up the team and head home before the first inning. Not Ann Voskamp. She took the high road. She invited him to come for dinner. You remember that verse, “When your enemy curses and reviles you, invite them to your farm for a delicious feast.” Yes. That verse is there. Just check your concordance. I mentioned Ann’s book here shortly after it started to take off. Although I hadn’t read it, I provided an overview focusing on the poetic language she uses, a rarity in Christian publishing. The book, to some, has been a breath of fresh air, a cup of refreshing water. But dinner at Ann’s farm would be an awesome experience. I would gladly have trashed the book in this space if I knew it would earn such a prestigious invitation. So, if you’re reading this, Ann, I just live an hour on the other side of Toronto. 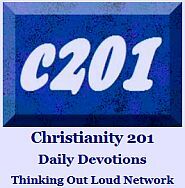 Here’s the link again to the story at CT’s women’s blog, her.meneutics. Be sure to click all the links, so you can see all of Ann’s pictures.